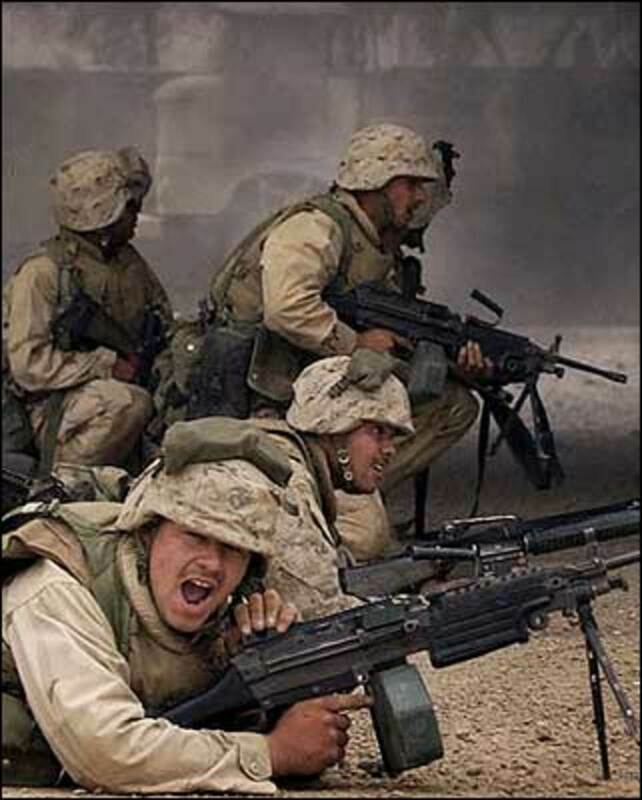 On March 20, 2003, under the leadership of President George W. Bush, the United States of America preemptively attacked and invaded the sovereign country of Iraq. 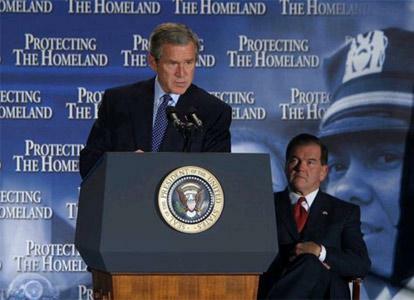 Before the invasion, the Bush administration began to conduct a domestic and international propaganda campaign to raise public support for a U.S. lead war against Iraq. Iraq had been under United Nations (U.N.) sanctions for about twelve years due to violations of U.N. resolutions regarding Iraqi weapons disarmament (U.N., 2004). On numerous occasions, U.S. military forces had enforced the U.N. designated no fly zones in Iraq. Although the media had previously discussed possible U.S. military use of force against Iraq, no formal campaign to promote this option had been previously undertaken. 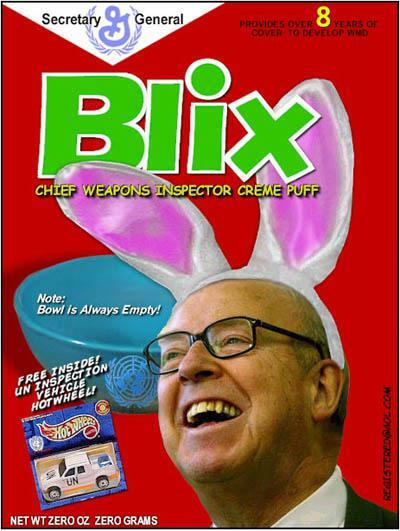 This hub presents a detailed analysis of the Bush administration’s domestic Iraq war propaganda campaign [hereafter referred to as the Campaign] starting from President Bush’s January 2002 State of the Union address through to the start of the war. 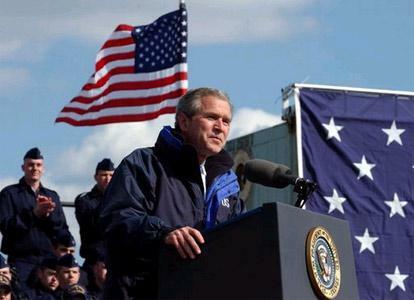 This starting point was chosen because it was during this address that President Bush formally declared Iraq to be part of “an axis of evil” that was in possession of weapons of mass destruction (WMD), supported terrorism, and was a threat to the United States (Bush, 2002, January 29). 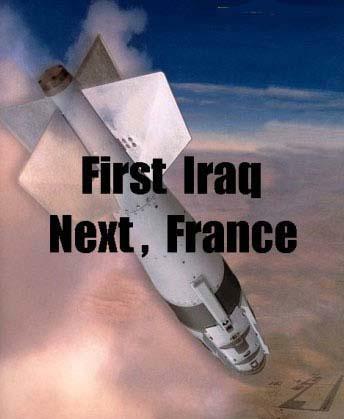 The ending point was chosen because the propaganda campaign began to change focus in attempt to justify U.S. military and Iraqi civilian casualties as well as the occupation of Iraq. Although the campaign included foreign propaganda, this analysis will only address the domestic campaign from inception up to the start of the war. The method of analysis uses Jowett and O’Donnell’s ten-step propaganda analysis plan as outlined in their book, Propaganda and Persuasion (1999). Unidentified senior US military officers say covert US program during Reagan administration provided Iraq with critical battle planning assistance at time when US intelligence agencies knew Iraqi commanders would employ chemical weapons against Iran; comments respond to query about gas warfare on both sides during Iran-Iraq war; Iraq's use of gas is repeatedly cited by Bush administration in calling for regime change now … (Tyler, 2002, August 18). The Bush administration attempted to use the existing domestic and international support for the War on Terrorism and funnel it towards support for military action against Iraq. This accounts for the propaganda campaign’s continued attempts to connect Iraq with 9-11, which was successful at first, but later failed because evidence was disproved. 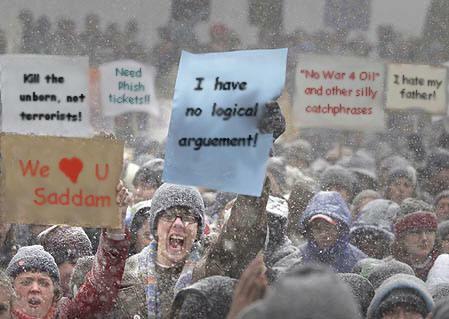 However, by that time, much of the American public rallied against Iraq. Wolfowitz’s third reason, Saddam’s treatment of his people, originally took a back seat to the discussion about the threat of WMD’s, but as some evidence for the existence of WMD’s was disproved, it gradually was presented as a primary reason for the US invasion of Iraq. Secondly, I’m confident the American people understand that when it comes to our security, if we need to act, we will act, and we really don’t need United Nations approval to do so. I want to work – I want the United Nations to be effective. It’s important for it to be a robust, capable body. It’s important for it’s words to mean what they say, and as we head into the 21st century, Mark, when it comes to our security, we really don’t need anybody’s permission (Bush, 2003, March 6). MR. ROSE: Okay, but I’ve heard there will be consequences because they [France] were tough for you. I mean everywhere you would turn after the vote on (inaudible) they weren’t on your side and with you; they were against you, against the United States. Are there consequences for standing up to the United States like that? SECRETARY POWELL: Yes (Powell, 2003, April 22). Interestingly, in a Whitehouse press briefing, Press Secretary Ari Fleisher hinted that someone in the Air Force made the decision to change “French toast” to “freedom toast” on the menu selection on Air Force One (Fleisher, 2003, March 28). Every nation, in every region, now has a decision to make. Either you are with us, or you are with the terrorists. (Applause.) From this day forward, any nation that continues to harbor or support terrorism will be regarded by the United States as a hostile regime. We will continue to work with our friends, people who understand the value of freedom. 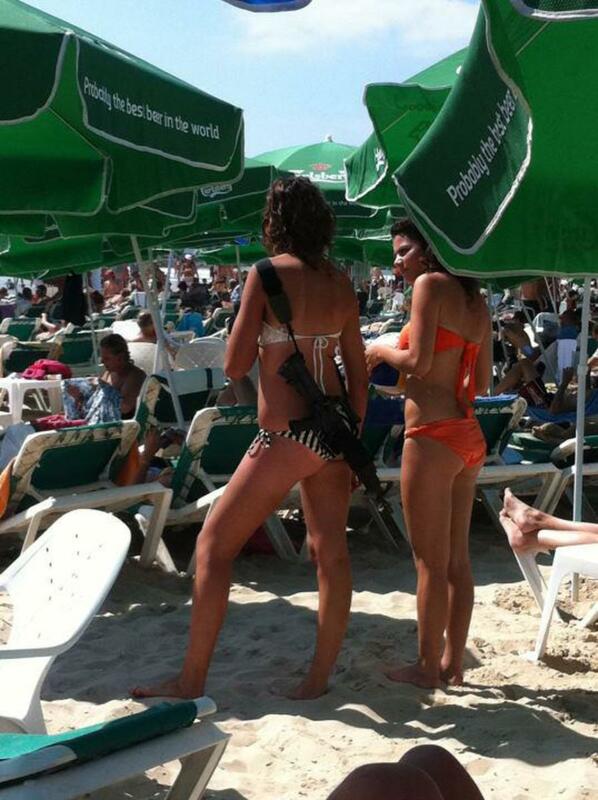 We will insist that the United Nation Resolution 1441 be adhered to in its fullest. After all, we want the United Nations to be a legitimate, effective body. But for the safety of the American people and for peace in the world, Saddam Hussein will be disarmed, one way or the other. And this nation does so for the sake of peace (Bush, 2003, February 26). Another example of this type of thinking was the president’s categorization of things as either good or evil, such as his statement, “States like these [North Korea, Iran, and Iraq], and their terrorist allies, constitute an axis of evil, arming to threaten the peace of the world (Bush, 2002, January 29). With a similar attitude Secretary of State Powell said, “We are also examining what other options may be available to change this evil regime [Iraq]”(Powell, 2002, March 27). President Bush exhibited other examples of unilateralism and arrogance through breaking signed treaties. 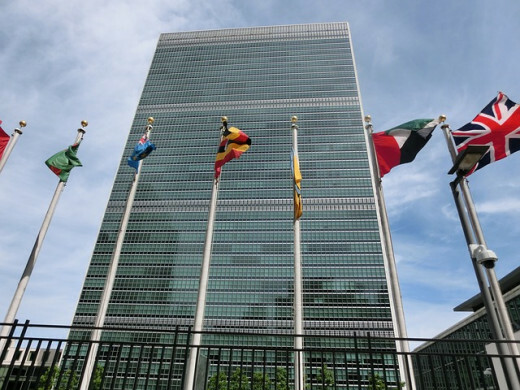 On May 6, 2002, the United States informed the U.N. that despite its signing on July 17, 1998, the U.S. was no longer a party to the International Criminal Court treaty (Boucher, 2002). In 2001, the Bush administration also withdrew from the 1972 ABM treaty with Russia (Bush, 2001, December 13). Earlier in the same year under the leadership of President Bush, the U.S. withdrew from the 1997 Kyoto Treaty regarding global warming and green house emission cut backs (CNN, 2001). Americans are a free people, who know that freedom is the right of every person and the future of every nation. The liberty we prize is not America’s gift to the world, it is God’s gift to humanity. (Applause.) We Americans have faith in ourselves, but not in ourselves alone. We do not know – we do not claim to know all the ways of Providence, yet we can trust in them, placing our confidence in the loving God behind all of life, and all of history. May He guide us now. And may God continue to bless the United States of America. (Applause) (Bush, 2003, January 28). Americans are asking, why do they [Al-Qaeda] hate us? They hate what we see right here in this chamber – a democratically elected government. Their leaders are self-appointed. They hate our freedoms – our freedom of religion, our freedom of speech, our freedom to vote and assemble and disagree with each other. (Bush, 2001, September 20). The United States and other nations did nothing to deserve or invite this threat. But we will do everything to defeat it. … before it is too late to act, this danger will be removed … Americans understand the costs of conflict because we have paid them in the past. War has no certainty, except the certainty of sacrifice. … The security of the world requires disarming Saddam Hussein now. As we enforce the just demands of the world, we will also honor the deepest commitments of our country. Unlike Saddam Hussein, we believe the Iraqi people are deserving and capable of human liberty. (Bush, 2003, March 17). America often views itself as the bastion of freedom and democracy and believes it has the duty to propagate these values throughout the world. It is easy for the American public to identify with Campaign rhetoric that speaks of liberating others, even if it means sacrifice. This is part of America’s historical frame of reference, seen through wars of liberation from the American Revolution, World War I and II, Vietnam, the Gulf War, and military actions in between. Europeans colonized the land of several different countries; America seeks to colonize socio-political systems and transform them into democracies. Though still a young country compared to many in the world, the U.S. does have over 200 years of history that has helped to form today’s society and culture. Otteson (2004) relates four American myths, symbolized in famous American literature, that have shaped American society. They are: “the myth of the land and frontier freedom,” as described in My Antonia; “The Puritan myth and the model family,” revealed in the Scarlet Letter; “Individual opportunity and the American Dream,” as described in The Great Gatsby; and the “myth of the melting pot,” as related by the Invisible Man. 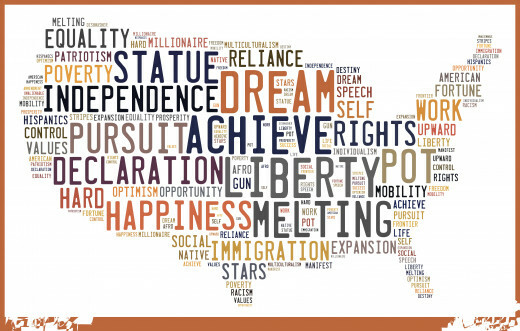 These four works of literature, studied by almost every high school student in America, reveal deep cultural beliefs about American society. America’s founders had a pioneer spirit of adventure and freedom-seeking that many ascribe to today, but are all too often denied. Puritan teaching of ideals, moral absolutes, hierarchy, and religious authority was the foundation of the early colonies and remains a strong influence to many today through such religious expressions as conservative evangelicalism, and to an extent, even our own political system. The American dream is often that, a dream. Yet, many grow up believing in that dream – some achieve it and some continually struggle. The results often help to shape one’s political outlook. America is not a melting pot, it is more like a stew. To this day, racism, sexism, homophobia, and religious intolerance continue as mitigating factors in modern day society. Together, these beliefs, and many more, compose the soil for any propaganda campaign. The Campaign under analysis made good use of American cultural myths. President Bush has said, “… America stands for a great cause, and that is freedom. We love, we cherish, and we will defend freedom at any cost” (Bush, 2002, February 8). President Bush himself acknowledged the Puritan influence in American culture saying, “It's rightly said that Americans are a religious people. That's, in part, because the "Good News" was translated by Tyndale, preached by Wesley, lived out in the example of William Booth. At times, Americans are even said to have a puritan streak -- where might that have come from? (Laughter.) Well, we can start with the Puritans (Bush, 2003, November 19) [though this quote was made after the war started, it serves to represent the ideology of President Bush]. There are many instances of President Bush referring to “the American Dream,” and there was even an appropriations bill named “The American Dream Downpayment [sic] Act of 2003” (Bush, 2003, December 16). The melting pot myth was used by the president to rally nationalism, often using the words “one people” or “Americans,” to lump everyone together to rally behind the flag and the president’s Campaign. In addition to American cultural myths, there is the entire history between the Arab and Western civilizations, including the Crusades, Western colonization in the Middle East, support of Israel, and Arab hostage taking of Westerners. The two cultures and religions are quite different, which leads to fertile ground for propaganda advocating military action against an Arab country. Cultural and historical background is important in understanding the cultural climate of the Campaign, yet current events are also quite relevant. When the Campaign began, the U.S. was already in the middle of a global war on terrorism with a large military campaign being conducted against the Taliban regime in Afghanistan. America was still in grief over the attacks of 9-11, which occurred just four months earlier. The entire country was on a heightened sense of alert and had a desire for retribution. According to a 2001, September 25-27 Washington Post poll, American patriotism was at a peak with 75 percent of the American public considering themselves “strongly patriotic” and 22 percent “somewhat patriotic” (Washington Post). The Campaign used this energy to promote a war against Iraq. The issue was whether the American people would support such a war. Failure would have been disastrous for the Bush administration. There was already talk of “another Vietnam,” and many throughout the world accused the U.S. of unilateralism and proceeding on a dangerous course. Interestingly, only a few days before President Bush made his famous “axis of evil” statement, The Pew Research Center published a survey report that said 73 percent of the public was in favor of using military force to remove Saddam Hussein from power. This number fell to 56 percent if the potential for large U.S. casualties was mentioned. Of those agreeing that the U S. should use force, 53 percent believed that the U.S. should only take military action against Iraq if U.S. allies were in agreement (2002). The constraining factors in the Campaign were public opinion, both domestic and international. The need for public support made it impossible for the Bush administration to attack Iraq without first developing and implementing a propaganda campaign. The power struggle was between the Bush administration, Saddam Hussein, and public support. At stake was American security, Iraqi lives, U.S. military lives, a positive public image for the president, and his chances of re-election in 2004. The propagandist in this Campaign did not hide, it was clearly the Bush administration. Since the president has ultimate say, he technically was the propagandist, but he used the various mouthpieces of his cabinet members and other leaders. The leaders of the U.S. lead coalition countries were also propagandists, predominately to their own people. However, the American population was also influenced by foreign propaganda that was covered in the U.S. Prime Minister Tony Blair is a good example. Part of the reason for raising a coalition and holding joint press conferences between President Bush and foreign leaders was to shift the focus off of the Campaign as being solely a U.S. effort and demonstrate that it was a united effort among coalition countries. The executive branch of government is highly structured and centralized. All staff, either directly or indirectly, reports to the president, who is the ultimate decision maker and authority. The administration's strategies and goals are not usually available to the public, except as revealed by the administration. Within the administration, there may be differing views, but ultimately the president decides what will and will not be policy. The results of such decisions are what are usually presented to the public so that the message appears to be unified. On some occasions administration staff may give conflicting statements, but such circumstances are usually quickly clarified and smoothed out. 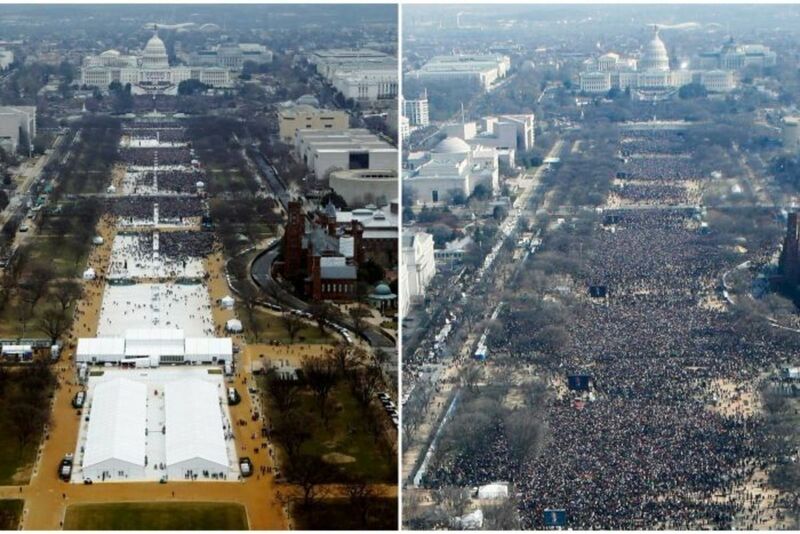 The Whitehouse having its own press secretary that gives daily briefings to a Whitehouse press corps facilitates this. The American public elects the president and vice president. The president then appoints his cabinet. 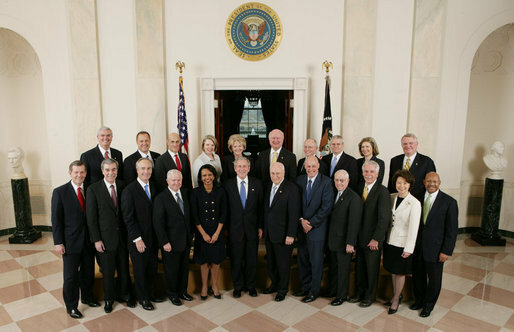 Some of President Bush's cabinet members at the time of the campaign included: Secretary of State Powell, Defense Secretary Rumsfeld, Deputy Defense Secretary Wolfowitz, Attorney General Ashcroft, and Secretary of National Security Rice, Press Secretary among other department heads. These cabinet members often represented the face of the administration to the public. The Campaign made extensive use of various cabinet members who gave speeches and interviews in a variety of places and to a variety of audiences. The target audience for the Campaign (domestic) was the American people, including congress, the media, and the voters. Within these groups are subgroups based upon age, gender, race, political ideology, and personal experiences. The Campaign strategy for reaching out to military veterans was different from reaching out to young adults. Both the message and the method of communication were tailored for each group. The president and his staff frequently spoke at small church groups, civic organizations, and schools in face-to-face encounters. Personal persuasion is quite effective and enthuses the listeners to spread the Campaign message. In addition, mass media usually covers such events, so it is double coverage for the Campaign. Pro administration opinion leaders, such as Rush Limbaugh and Republican congressional leadership, also brought the Campaign to the target audience. A third method of reaching the target audience was through friends, relatives, and religious institutions that promoted the Campaign. In many instances, such influence is more persuasive than persuasive attempts directly from the propagandist. Although the Bush administration did not have its own media outlets, the White House does have its own press corps, which makes media utilization very accessible and easy. On several occasions, the president requested media coverage to address the nation; mass media is generally inclined to provide coverage of presidential remarks. The news media was the best free publicity that the Campaign could have had. Surveys conducted by The Pew Research Center report that before the 9-11 attacks, the average number of people that followed the news very closely was only about 23 percent. By mid-September of 2001 that number jumped to 74 percent, which is greater than the public’s news interest in the 1992 Los Angeles riots and the end of the Gulf War (2001a). In March of 2003, before the war began, The Pew Research Center reported that 62 percent of the American public was very closely following the news about a possible war with Iraq (2003a). This means that 62 percent of the public would hear any propaganda that the Campaign disseminated through the news media. The Campaign used mass media to reach specific subgroups of the target audience. One example of this was Collin Powell’s global MTV interview, where the possibility of war with Iraq was discussed (Powell, 2002, February 14). The Campaign also used radio to reach its audience, as was demonstrated by the president’s weekly radio addresses. Both the president and his cabinet reached the audience through televised speeches, television interviews (such as Meet the Press), and general news media coverage and editorials (newspaper, magazine, radio, television, and Internet). The Whitehouse also has its own website, which is quite extensive and provides another mass media outlet to disseminate positive information (in both English and Spanish), including text, photos, and videos. The website also includes a webpage for The Office of Global Communications, which presents Whitehouse information and propaganda designed for a foreign audience. Even the president’s dog, “Barney the First Dog,” had a web page (Whitehouse, n.d.). The Whitehouse website also included an Iraq Homepage with the latest news and pictures from Iraq, including a “fact of the day” about Iraq and a complete archive on presidential remarks related to the Iraq campaign. The campaign also made use of the printed media. One example is the detailed Whitehouse report, A Decade of Deception and Defiance (Whitehouse, 2002, September 12). 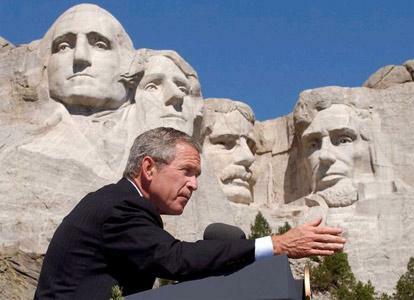 This report outlines the Bush administration’s charges against Saddam Hussein and his regime. Traditionally, people wear yellow ribbons in remembrance of missing people or military troops overseas. 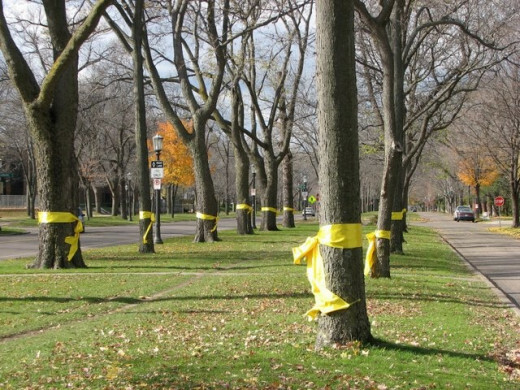 Yellow ribbons again became popular for troops involved in the War on Terror and for troops that went to Iraq. The ribbons kept the war in the people’s minds. Churches are another means for the propagandist to reach the public. A March, 2003 survey by The Pew Research Center revealed that fifty-seven percent of the public that regularly attends religious services responded that their clergy had spoken about the possibility of war with Iraq. Thirty-four percent responded that their clergy expressed no position on the potential war, seven percent favored a war, and fourteen percent were against a war. Forty-one percent responded that their clergy did not speak about a war. The clergy of white evangelical Protestants rated highest in favor of a war, but only at fifteen percent. Black respondents reported that sixty-six percent of their clergy had spoken about a war, with thirty-eight percent speaking against a war and twenty-two percent giving no position. The majority of Catholic and mainline protestant respondents reported that their clergy either expressed no position about a war or did not speak about it (2003a). Both sides of the Iraq war issue utilized every form of media conceivable. Cartoon, manipulated photos, videos, songs, and poems both for and against the war were quite popular. Below are some examples of pro-Iraq war propaganda – although most likely not produced by the Campaign, they were still beneficial. A large portion of the target audience had predispositions with which the Campaign created a resonance, such as the common American desires for security, freedom, and democracy. Campaign messages related to these areas had the greatest impact on the audience. When the Campaign based its message on audience predispositions, it could interject new information that the audience often perceived as coming from within themselves (Jowett & O’Donnell, 1999). Examples of this include times when the president spoke about security, freedom, and democracy while linking it to the Campaign. The Campaign has also used this technique with visual graphics, such as backdrops for speakers. Another technique that the Campaign used was to persuade the audience to like and identify with the propagandist (either the president or someone else speaking for the Campaign). By doing this, the audience would be more receptive to what the speaker has to say. This is one of Cialdini’s Weapons of Influence (2001). One can see both techniques in the following photos. The backdrops seek to identify the president and his message with strength, security, and national pride – all ideas that the audience can readily identify with. On other occasions the president has used phrases or terms from the Christian bible that only Christians would recognize as having special meaning, such as in his 2003 State of the Union address where he said, “Yet there's power, wonder-working power, in the goodness and idealism and faith of the American people” (Bush, 2003, January 28). This is a quote from the Christian hymn, “There is Power in the Blood” (Jones, 1899), which refers to the power of the blood of Christ. On two occasions, he has used the phrase, “And the light shines in the darkness. And the darkness will not overcome it” (Bush, 2002, September 11; & Bush, 2001, December 22), which is a quote from John 1:5 in the Christian bible (New American Standard Bible (NASB), 1960). While speaking about the disaster of the Space Shuttle Columbia, the president quoted scripture saying, “In the words of the prophet Isaiah, ‘Lift your eyes and look to the heavens. Who created all these? He who brings out the starry hosts one by one and calls them each by name. 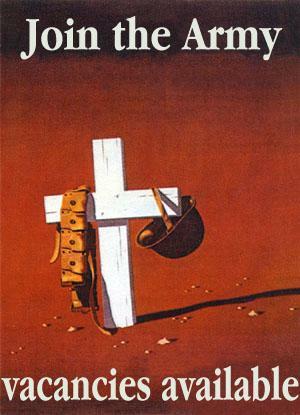 Because of His great power and mighty strength, not one of them is missing’" (Bush, 2003, February 1). These are only a few of the many instances that President Bush has made references to Christianity during his public speeches. Another influence technique is the “Low Ball for the Long Term” method (Cialdini, 2001, p. 89). In this strategy the persuader influences the audience using evidence that may not remain influential, but by that time the audience has already developed additional reasons to support the persuader, even if the first reason is negated. An example of this is the Campaign’s strategy to first link Iraq with terrorism. Since the target audience was already upset and desirous of revenge against the terrorist group responsible for 9-11, it was easy to gather support. Later, when evidence linking Iraq to terrorism came into question and was disproved, the target audience was already hooked and believed in the existence of WMD’s and the need to liberate the Iraqi people. The fact that their first evidence to support the Campaign was taken away did not sway their support. The Campaign was also able to use the psychological principle of cognitive dissonance (Cialdini, 2001) by channeling the target audience’s publicly displayed nationalism and flag waving for support on the War on Terror into cognitive belief in and support for war against Iraq. Sometimes we change our beliefs to rationalize our actions. Two other methods of influence are also responsible for Campaign support. The “foolish fortress” is a defense against troubling thoughts and inconsistencies (Cialdini, 2001). Rallying around the flag, the president, and the war causes distraction from thinking about the evidence justifying a war as well as the reality of the consequences of war. Secondly, “social proof” is a powerful influence upon individuals (Cialdini, 2001). When public leaders, friends, and entire communities are publicly supporting the president and his call for war against a leader that almost everyone agrees is cruel, it is difficult to not follow the crowd. Each of these psychological principles of influence creates fertile ground for the propaganda Campaign. As mentioned, much of the public expresses their approval of the war by displaying American flags, patriotic or pro-war bumper stickers, yellow ribbons, etc. 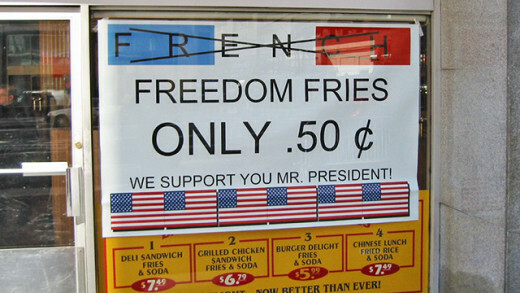 Many restaurants changed their menus removing “French fries” and replacing it with “freedom fries,” in protest to France’s opposition to the U.S. campaign to invade Iraq. U.S. war propaganda was making headway by the fall of 2002. According to a survey by The Pew Research Center, by mid-September of 2002, 55 percent of the American public had thought “a great deal” about the possibility of a war against Iraq and 52 percent of the public believed that President Bush had presented a clear case for war Iraq. The month before, this number was only 37 percent. At this time, 64 percent of the public now favors taking military action (2002b). By early January 2003, the number of people believing that President Bush had made a clear case for war against Iraq had dropped to 42 percent. An important factor in the public’s opinion about going to war was whether the UN weapons inspectors found evidence of WMD’s. If the inspectors found weapons, 76 percent of the public would favor using military force against Iraq, but if the inspectors found nothing, public support for military action drops to 28 percent. However, 62 percent of the American public believes that the Bush administration has already determined to go to war (The Pew Research Center, 2003b). The desired outcome for the Campaign was public support for an invasion of Iraq. How much support the president wanted before he decided to invade is not know. However, it is apparent that the Campaign raised enough public support that the president felt confident to go ahead with war plans. Since the commencement of the war the tables turned and the Campaign underwent several transformations. In the beginning, the propaganda campaign worked very well; however. setbacks in Iraq, along with high U.S. casualties and prisoner abuse scandals, caused the public to re-evaluate their support of the war. The president’s approval rating dropped to its lowest level. 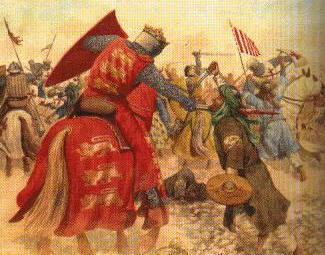 However, before invasion, the campaign was quite successful. 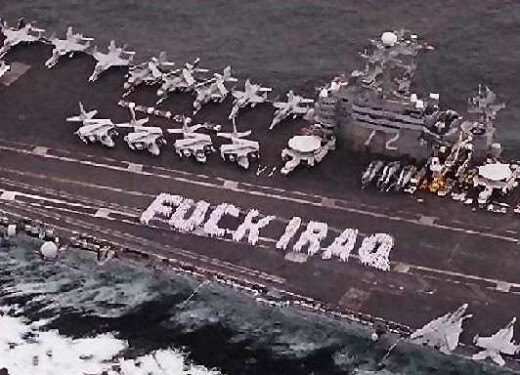 This is evidenced by Congressional approval of military action against Iraq, public displays of support, and the public’s desire to support U.S. troops, which often results in supporting their cause. The campaign affected U.S. legislation, news content, the public’s mindset, and opinions. The use of major media was crucial to the success of this Campaign. The media has the power to support or discredit such campaigns. Without the propaganda Campaign and its use of media, it is doubtful that the public would have rallied around the president in support of war. Were you in support of the U.S. invasion of Iraq? 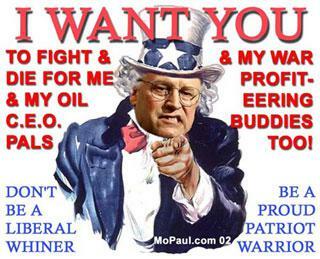 Have you since changed your opinion about the U.S. invasion of Iraq? Cialdini, R. (2001). Influence: Science and Practice. Boston: Allyn & Bacon. Jowett, G. & O’Donnell, V. (1999). Propaganda and Persuasion. Thousand Oaks, CA: Sage Publications, Inc.
What Is Sean Spicer Doing Now? 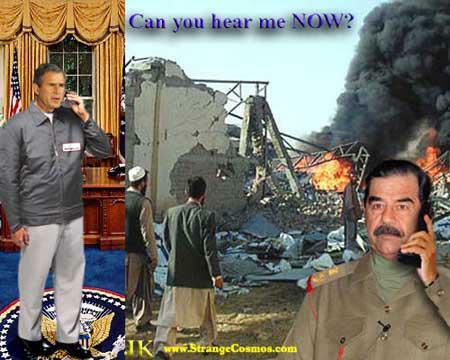 Saddam Hussein: The "Butcher of Baghdad"